Richmond, BC, is not just an island city. It’s made up of 17 islands on the west coast of Canada, at the mouth of the Fraser River. It’s also the home of an international airport, the Port of Vancouver, and a diverse, multi-lingual population of 200,000 people. 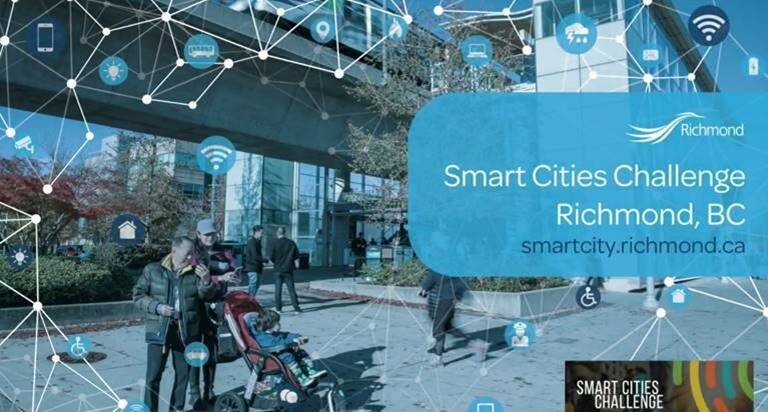 Richmond is a finalist in the Smart Cities Challenge, a competition for communities across Canada to improve the lives of residents through innovation, data and connected technology. As a leading IoT provider, Aware360 is an advisor for the Richmond Smart Cities Challenge. Robert Forget, CTO of Aware360 and Vice Chair of the CompTIA Smart Cities Advisory Council, is supporting their proposal. For Richmond, responding to a natural disaster requires integrated communications. Their Smart Cities proposal aims to protect the city through life-saving technology that can connect various levels of government and business, bridge language barriers and improve emergency response. Notably, Richmond has identified technologies that not only meet needs in a crisis but also improve everyday life. The technology can, for instance, help with traffic control when there is an accident, and thus enhance the lives of citizens. As one of ten finalists in the $10 million category, Richmond is developing a final proposal due in March 2019. Winners will be announced in spring 2019. Next PostNext Five Tips for Managing a Grey Fleet: How to ensure all your drivers are safe and productive behind the wheel.